Cities around the world produce huge quantity of municipal wastewater (or sewage) which represents a serious problem due to its high treatment costs and risk to environment, human health and marine life. Sewage generation is bound to increase at rapid rates due to increase in number and size of urban habitats and growing industrialization. An attractive disposal method for sewage sludge is to use it as alternative fuel source in cement industry. The resultant ash is incorporated in the cement matrix. Infact, several European countries, like Germany and Switzerland, have already started adopting this practice for sewage sludge management. Sewage sludge has relatively high net calorific value of 10-20 MJ/kg as well as lower carbon dioxide emissions factor compared to coal when treated in a cement kiln. Use of sludge in cement kilns can also tackle the problem of safe and eco-friendly disposal of sewage sludge. The cement industry accounts for almost 5 percent of anthropogenic CO2 emissions worldwide. Treating municipal wastes in cement kilns can reduce industry’s reliance on fossil fuels and decrease greenhouse gas emissions. The use of sewage sludge as alternative fuel in clinker production is one of the most sustainable option for sludge waste management. Due to the high temperature in the kiln the organic content of the sewage sludge will be completely destroyed. The sludge minerals will be bound in the clinker after the burning process. The calorific value of sewage sludge depends on the organic content and on the moisture content of the sludge. Dried sewage sludge with high organic content possesses a high calorific value. Waste coming out of sewage sludge treatment processes has a minor role as raw material substitute, due to their chemical composition. 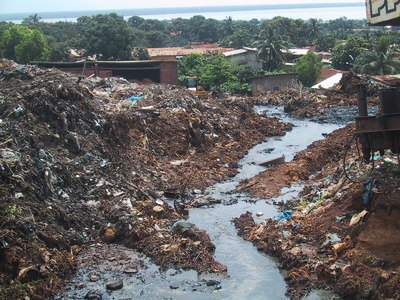 The dried municipal sewage sludge has organic material content (ca. 40 – 45 wt %), therefore the use of this alternative fuel in clinker production will save fossil CO2 emissions. According to IPCC default of solid biomass fuel, the dried sewage sludge CO2 emission factor is 110 kg CO2/GJ without consideration of biogenic content. The usage of municipal sewage sludge as fuel supports the saving of fossil fuel emission. Sludge is usually treated before disposal to reduce water content, fermentation propensity and pathogens by making use of treatment processes like thickening, dewatering, stabilisation, disinfection and thermal drying. The sludge may undergo one or several treatments resulting in a dry solid alternative fuel of a low to medium energy content that can be used in cement industry. The use of sewage sludge as alternative fuel is a common practice in cement plants around the world, Europe in particular. It could be an attractive business proposition for wastewater treatment plant operators and cement industry to work together to tackle the problem of sewage sludge disposal, and high energy requirements and GHGs emissions from the cement industry.